Ellen loves to cook. Her favorite dish to prepare is Chicken Tikka Masala. During her down time, Ellen enjoys spending time with her family and her orange tabby, Leo. 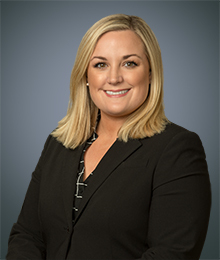 Ellen obtained a Business & Commercial Law Certificate from the University of Kansas School of Law in 2018.